I am not the most-hippest person when it comes to music, often getting into bands who are just on their way out or are meant for children and not 26 year olds. 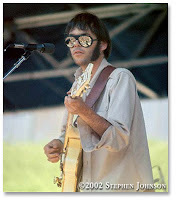 This week I hit a new low by suddenly getting into Neil Young. I know, I know, he's classic, he's epic, he's timeless. But you try to fight the urge to say to your friends "Hey, have you heard of this great song "Alabama"? ", because you know they will give you the rolly-eye routine and a swift kick to the mons. For being such a d-bag. But seriously, how good is freakin' "The Needle And The Damage Done"?! Why didn't anyone tell me?? Neil Young, take a look at my life! I'm a lot like a douche-bag. nice work! hey, have you heard about this band from liverpool, england? it's like 4 guys with silly haircuts and they really rock. i think they're called The Beetles... or maybe it's some clever spelling like The Beatles. yeah, that's it. really good. check them out. a kick in the mons all the way from LA! Thanks!! !